Photo courtesy of Calogero Ariosto, the Ashley's owner. Stefano is the new owner of an Ashley 1172 from the Netherlands and also has an original and unused body of an Ashley 750. He was asking if I knew of the car, which I did not but was quick to ask if he could find out more about it so that I could add it to the website. It didn't take him long to do so but by that time I had found more photo's of the same car on an internet site and was also able to contact the owner via that site. My 750 Sport is registered with the Ashley Register held by the Fairthorpe Club in England. 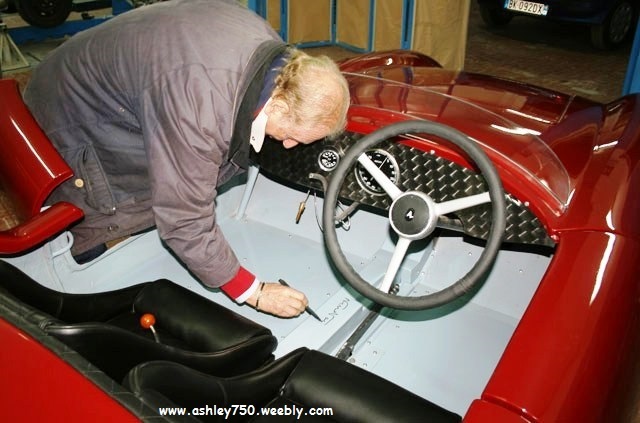 About the car: It was purchased in England in 2005 when few in Italy knew about Ashley Laminates Ltd. 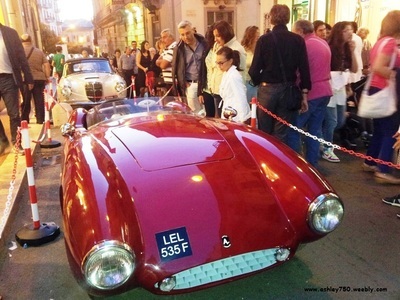 It took 6 years for the restoration, the work was a little challenging but I completely disassembled the entire car, I restored both the chassis and the suspension, brakes, engine and transmission, seats and of course the bodywork and rear taillights. Some small freedoms, the wraparound windshield and tail lights, front position recessed in the bezel, are still not satisfactory and I think I'll make some changes (to make it more accessible to the Sicilian roads in summer). I am attaching a few pictures and I wonder if you have any photos of Ashley 750 and 1172 in the historical races of the 50s and 60s. I have had no success with finding historical photo's of Ashley 750's or 1172's at racing events, if anyone can help I would happily display them on this website with acknowledgements and also pass on to Calogero. my friend, is signing my Ashley 750. 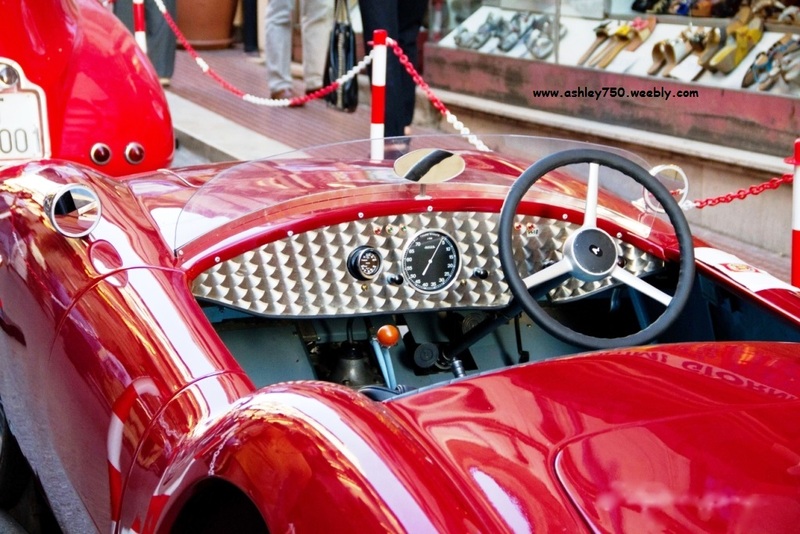 The Ashley 750 was seen and photographed many times at the Caltanissetta Classica 2013, on the 14/15 September, Calogero has allowed me to include some of them here.